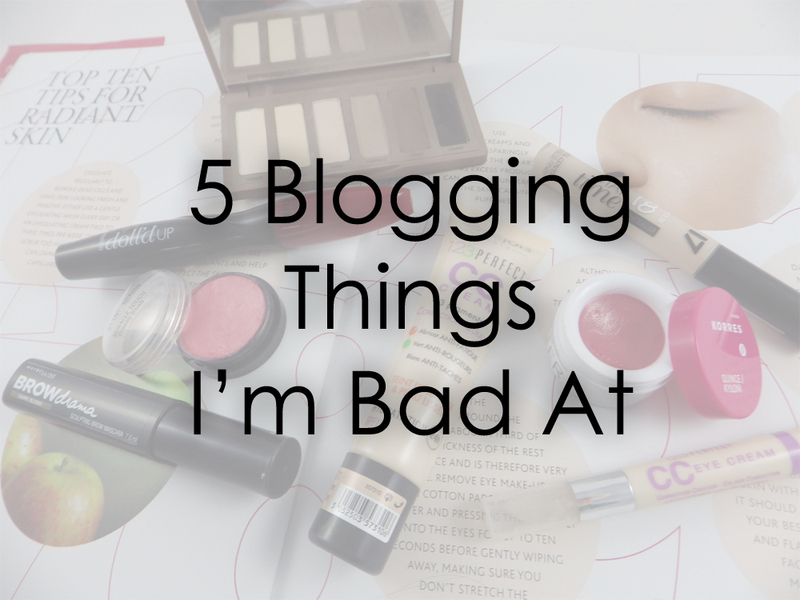 Back at the end of last year I did a "5 Beauty Things I'm Bad At" post (which you can catch up on here) and thought I'd follow this up with 5 blogging things I'm bad at! I have Google Analytics yet I rarely use it, which is partially me being lazy and dedicating some time to getting my head around it. Therefore I generally have no idea what sort of visits my blog gets per day, my traffic sources, my bounce rate etc. Although I think some of this information I won't do anything with, it would be interesting to do a bit of analysis. What I do really want to know is what time of the day my blog gets the most visitors because at the moment I post in the early evening based just on a gut instinct. There are so many different blogger chats on Twitter these days I completely lose track of when they all are. 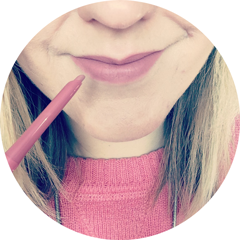 I used to join in the Sunday evening #bbloggers chat every week, but I got out of the habit and now I forget or if I remember I seem to be too busy. I'd rather join in properly for the whole hour and share links at the end, rather than join in for 20 minutes or here and there. However when I did manage to join in a Sunday chat the other week, a lot of people were negative about the topic and so my #bbloggers Twitter feed was mostly links with "I'm 27 away from 700 followers" type tweets. This did put me off a little, so I think I will try and join in with the more general, no-topic chats in future, as I do miss chatting and finding new blogs. I totally rely on other bloggers for beauty news and wish I was more on top of it myself. I'm hardly signed up to any PR companies or brands for details of press releases, so I think is something I could do to make myself more aware. I'm completely guilty of hearing bloggers rave about a new product, waiting to read countless reviews about it and after lots of umming and ahhing, I then end up buying the product when no-one is talking about it anymore and wants to read another review on it. I really should be more spontaneous sometimes! There are so many times I've started incorporating more fashion and lifestyle based posts into my blog, only for me to switch completely back to beauty after a month. Don't get me wrong, I love writing beauty posts and it's always what will be the heart of my blog, but I'd love to mix it up more often. It's always something I've wanted to do. Writing this post has inspired me to have a brainstorm one day on ideas for these type of posts and try and do one post a month that breaks away from beauty. What blogging things do you feel you are bad at? I'd love to know! Great post, I the same with stats and stuff as I don't understand most of it! Great post idea, genuinely haven't checked my google stats in months and months, it was probably last year sometime to be honest! I can relate on 1, 3 and 5! I'm really bad with stats too, all I ever check are my keywords! I used to always do that chats but at the moment I just seem to give up half way through, barely anyone ever replies to me!